Locksmiths in Los Angeles can’t help but scratch their heads and wonder about the bad luck (some would say intelligence) of stars like Megan Fox and Paris Hilton. A recent news story in People reported that the teenage gang allegedly behind the rash of burglaries at the homes of celebrities living in the Hollywood Hills had little trouble gaining access to many of the stars’ residences. The reason? The doors were left unlocked by the celebrities. Residential locksmiths will tell you, the best lock in the world protects you only when you take the time to secure it. This total breakdown in the most fundamental rule of home security resulted in the loss of $3 million in jewelry, clothes and other luxury goods. You’d be surprised at how many people, both stars and regular folks – but not professional locksmiths, don’t bother to lock their doors when leaving home. One of the most common excuses for failing to take proper security measures is that they were just going out for a “minute.” Unfortunately, a “minute” is often all it takes for a motivated burglar to enter your home, clear out your jewelry, have a sandwich and hit the road. Don’t take chances with the safety of your family and valuables, make sure to always lock your doors and windows. For added peace of mind, call in the residential security experts from Fidelity Locksmith Services. Our licensed locksmiths will conduct a top-to-bottom security review to make sure your home enjoys state-of-the art protection. Los Angeles Locksmith: Where are we headed!!! A quick look at the crime rates in the city of Los Angeles gives us the hint that they have been gradually reducing. Surely this seems to be a good signs of cleaner and safer neighborhood. Put the point is to understand why have these crime reduced ? and How can we wipe out crime from its roots? According to CrimeRating.com the burglary rate in Los Angeles is 0.77 time the National Average Crime Rate. Undoubtedly this could not have been possible without the good service of our LAPD but an equal contributor to the success are the services of the Locksmith Service providers who try and ensure the safety of your home, office and automobiles with the best of the security solutions and provide an on going support to ensure smooth functioning of the systems with personalized service. But all this does not happen all by itself, its us the customers who first need to show concerns and interest for our own safety. And the first step toward your safety and a safer neighborhood is careful planning and investigation about finding a reliable, trustworthy and a professional Locksmith Service Provider. Secondly, one should understand different ways in which one can be sure that he/ she shall not be a victim of these crimes. Thirdly, practicing some of the basics tricks of the trade like keeps the windows and door locked at all time, keeping the exteriors well lit, keeping a neighborhood watch etc. in-order to be alert at all the times. And finally having a personalized Locksmith Service provider to ensure smooth functioning of your security systems and at the same time being your that only an authorized person has an access to your home and security systems. Thus, we here at Fidelity Locksmith are joining hands to provide you with a better and safer tomorrow but this cannot not be possible without your co-operation. So call Fidelity Locksmith today and find how we can be your partners in ensuring your safety. There have been many situation in life that your might end up calling a locksmith especially when you are in a hurry and you lock your car with keys inside it or you many loose your key for your home. We normally end up looking into yellow pages and call out one in the top of the list. Well this may not be a good way out as you might be faced with scams who pretend to be a legitimate company and shall end up charging you a wholesome with no clear paper work and no proof or guarantee of their work. So make your right move, never call an unknown Locksmith Service Provider. Do your homework before hand and find a reliable trustworthy , legitimate, and personalized locksmith Service provider you can trace back to. So, call Fidelity Locksmith Services today and get answers to all your worries as we guarantee the service and the experience with a written proof of every agreement and work. When buying a new home or moving into a new home the most important thing that should be on the top of the mind is the security of one’s home and family members. One can ensure this by acting way ahead of time and not when need arises. And on your journey to safety Locksmith Services come along hand in hand. As per police burglar do not want to do too much of work they want to easily enter your home, get your valuables and leave your home smoothly without being caught. So in order to protect your home from burglar your need to think like one because even burglar do their home work before planning to invade your home. 1. Secured doors and windows: One of the most important thing to note is that maximum robbery’s have been done by making way through doors and windows. So one must ensure that you keep your doors and windows locked properly especially on your first and secondfloor because the burglars do find an easy access from the roof through the open windows.Also one must have good secured doors in order to avoid easy access to your home. Locksmith Service providers are the right place who have a variety of security solution for both doors and windows perfect to fit your requirements. 2. Well lit exteriors: Dark places give thieves a place to hide and also provides them an easy way into the home without getting noticed. So its necessary that we keep the exteriors well lit. This reduces the hiding spots to bare minimum and people can also identify if there is any suspicious activity going around area, other than that if also prevents the thieves to make their run in the bright light and thus getting caught easily. 3. Home Alarm System: Since the introduction of the alarm, it has been a big boon to the home owners, this kind of system even prevents the burglars from thinking of robbing the home, especially those who are new into the crime business. One must not only have the alarm installed in the home but should also display a notice of the same as it prevents the happening of crime to a great extent. One can find the best of the security alarm from our great friends and so called security consultants none other than Locksmith Service provider. They are not only adept at installing one of these system but Locksmith Service provider also provide and on-going support to ensure smooth functioning of the system. Though these tips sound very silly, they really work great. And at the least, it does not harm even if we have these things in place, as this is for your own security. So rather than being late call your Locksmith Service provider today and get your requirements right. Also these days Locksmith Services provides personalized services and thus your can even ensure your has access to your security system and also have the perfect system for your perfect home.Never the less keep visiting Fidelity Locksmith Blog for some cool tips on safety for your home, office and cars. One easy answer is to call in Los Angeles’ best commercial locksmith company, Fidelity Locksmith Services. Since 1975, our low prices and expert service have made us the “go to” locksmith for many of Southern California’s leading property management companies, condo boards and home-owner associations (HOAs). Now, we’re raising our game to help property managers lower their overhead. In order to ensure our commercial clients can weather the current market downturn, Fidelity has just introduced a comprehensive suite of low-priced property management locksmith services that are custom-tailored to meet the unique business needs of Los Angeles-area office managers. If you’re a property manager who needs to reduce costs without compromising quality or security, Fidelity Locksmiths is the company to call. From simple lock changes to sophisticated emergency repair projects, our low-cost commercial locksmith services are sure to save you money. Fidelity’s expert locksmiths are available 24 hours a day, seven days a week. We work on either a project or contract basis. Not surprisingly, most of our one-time projects quickly turn into long-term contract relationships after our clients realize how much they are saving with Fidelity Locksmith Services. There’s never been a better time to start using Fidelity Locksmith Services. As part of a special limited-time introductory offer, we are offering new commercial clients the opportunity to save an additional 10% off our already reduced prices. Castaic, California is located in Los Angeles County. It is one of the growing communities near the San Fernando Valley. It is one cities of travelers choice not only for their shopping and need but also for its great recreational places like the Castaic Lake and Pyramid Lake. Castaic provides a perfect place for weekends where people can enjoy swimming, boating, fishing and camping or biking on trails. So whether you come to admire, relax and reflect upon the beauty, or pack in an extreme day of fun and excitement, there is something here for everybody. Castaic provide a lot of option for recreation in the surrounding regions including the famous Six Flags Magic Mountain amusement park. Castaic proves to be a great location not only for visitors but also for living. If you are thinking about making Castaic your permanent or temporary place of residence, you should always make yourself aware of the crime rate. Keeping yourself, loved ones, and valuables safe should always be a top priority. Installing professional grade locks is necessary and Fidelity Castaic Locksmith are always relied upon to do so. According to CityRating.com, Castaic burglary rate is 0.76 times the National Average burglary rate. This number should make you feel at ease, however still with warning. Prevent unwanted visitors into your home where your family is, or your business by installing some of the high grade security equipment available from Fidelity Locksmith. How should you prevent from being a victim of car break-ins. Every year there are 1.85 million car theft taking place all around the US and an approx of $1.255 billion worth of personal items and accessories being stolen from the vehicles. If we take a look at the State of California the number of crime have been increasing significantly since 1960 till date though the current number of vehicle theft in 2008 was 192,572 which had reduced a little as compared to recent past years. Most of these theft are break -ins or attempted break-ins which can be avoided to a great extent with some good practices and thus reduce the chances of your vehicle becoming a target. Most of the vehicle theft have taken place with the intent of stealing the vehicle itself. A simple way to prevent is to display different locking system in your car like for e.g. Steering wheel locks and the Steering column collars. The visibility of such security system prevent the thief from breaking in as these system are difficult to break and thus an increased risk of being caught in the crime. you should also ensure the locks of the car are intact with high security system which can also prevent the theft to a great extent. Locksmith Service provider or the Auto shop will be a good person to reach out to get the latest security system in place. As recommended by the NICB the best strategy to protect your vehicle is to include layers of security systems which are not apparent, cause even if your car has been a target , you can still find the culprit with these layered security systems like alarms, immobilizers; and tracking systems . None of the these guarantee 100% safety but surely can prevent you car from being a target to a great extent. Locksmith Service or Auto shop are the right place to get the right security advisement for your car. Loud Alarm work just right. As it not only alerts you but also the passer-by’s of the suspicious activity which discourages the inexperienced theft from attempting a break in. They are lot many brand in the market that provide these alarm and they just work fine, you can ask your Locksmith Service Provider to install them as that you can be sure that the work is done right. 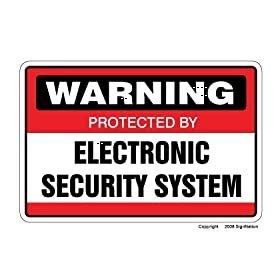 These where some of the security system that you get off for a price but other than these there are a few rules one should follow on a personal front to protect you car and your valuables. According to some law enforcement agencies 1/4 th of the car thefts have happened from unlocked cars. So next time you run to the convenience store to grab a qucik drink do not forget to lock your car cause such a carelessness can cost your dearly. Any thing within the eye site can be a cause for break ins, even if its a empty shopping bag. So its better to lock it p in your trunk or in some secured place in your car which is not visible, this especially applies to electronics and accessories and even to some unthoughtful things like laptop chargers, power plugs or cigarette lighter. According to National Insurance Crime Bureau (NICB) spokesman Frank Scafidi, thieves sometimes linger in busy parking lots looking for valuables being moved out of sight. So its much safer to put the good in the trunk at the time you by it rather than doing it when you move out of your car. Many people do leaves the windows and the sunroof a little open to allow air circulation but it give a chance to the thief to make in easily into the car and also prevent ringing of the security alarm. So put in a habit of closing all windows. One must park in open, busy and well- lit area. This reduces the chances of break- ins to a great extent. These rules in day to day life can help you keep your car from being a target. Also keep visiting Fidelity Locksmith Blog for latest technologies and tips on how to protect you Car, Home and Office. Its very simple to avoid being a victim, so ensure that you follow these safty rules and for more information keep visiting Fidelity Locksmith Blog and even better call Fidelity Locksmith to know about the services we can provide to ensure safety of not only your car but offices and home as well. Brea, is a great place located in the foothills of North Orange County. It is also known as city of oil, oranges and opportunity because of its recently redeveloped Brea Downtown. None the less it is the city of Arts which cherishes the rich culture of southern California in its own very special ways. Brea is a perfect blend of exciting shopping, friendly Living, fine dining, top- notch schools and a variety of places to play and have fun with family. Brea beautifully combines the fun of city life and comfort of suburban living. In short Brea is confluence of art, architecture, and amenities thus making it a perfect place to live work and play. According to Sunset magazine, Brea is one of the five best places to live in the Western United States. If you are thinking about making Brea your permanent or temporary place of residence, you should always make yourself aware of the crime rate. Keeping yourself, loved ones, and valuables safe should always be a top priority. Installing professional grade locks is necessary and Fidelity Brea Locksmith are always relied upon to do so. According to CityRating.com, Brea burglary rate is 0.76 times the National Average burglary rate. This number should make you feel at ease, however still with warning. Prevent unwanted visitors into your home where your family is, or your business by installing some of the high grade security equipment available from Fidelity Locksmith. Are You Protecting Your 21st Century Home with a 19th Century Lock? Ask any locksmith in Los Angeles, Ventura or Orange County and he’ll tell you that far too many people living in Southern California are relying on woefully obsolete locks and old-fashioned deadbolts to protect their homes and families. Unfortunately, most homeowners only learn the truth about the inadequate nature of their home security measures after they become the victim of a break-in or worse. The problem is easy to spot for anyone working as a professional locksmith. Homeowners rarely think about upgrading their home security until they are forced to do so by a crime. They feel that their home’s existing locks are perfectly adequate to protect them from a burglary. Incredibly, many don’t even consider taking the simplest security steps by rekeying or changing out existing locks after moving into a new home. The real trouble is that the “existing locks” found in most homes from San Bernardino to Santa Monica rely on technology that is over 150-years-old. After Linus Yale, Sr. invented the pin-tumbler lock back in 1848, locks really didn’t change much until about ten years ago.This gap has given criminals plenty of time to perfect methods to pick any lock manufactured before 2000. This problem is exacerbated by the 1,600-plus YouTube videos that provide detailed instructions on lock bumping and picking. Schlage’s LiNK Wireless Home Security Solutions offer state-of-the-art protection. There is good news. Upgrading your home security to 21st Century standards has never been easier or more affordable. Locksmiths agree that we’ve entered a golden age of lock and security technology. The major leap forward is showcased by the Schalge LiNK Wireless System which lets homeowners remotely control and monitor access to their home 24-hours a day from any Internet enabled computer and most web enabled cell phones. This scalable system offers a wide range of options from enabling keyless entry to controlling a home’s temperature and lights. If it’s time to upgrade your home’s locks and security systems (and you know it probably is), call in the professionals from Fidelity Locksmith. We are SoCal’s residential security experts. Our team of highly experienced locksmiths is state licensed, bonded and insured. Everything we do comes with a 100% customer satisfaction guaranty. Armed Invasion at Beverly Hills Home! Home Invasion these days has constantly been in the prime time, Is it that we are giving a deaf ear to it ? or Are the criminals adept at their work ? and its not only mid income groups that are victims of robbery but also the richie-rich are being big victims of home invasions. Recently on September 16th, 2009 , a Wednesday evening at around 8:18, an incidence of home invasion/armed robbery on Beverly Hills drive was reported . The Sevierville Police Department had Responded to the call. According to SPD Officer Shaun Crawford, “the adult male victim reported that a man knocked on his front door and when the victim opened the door, the man forced his way into the home and proceeded to hit him in the head several times with a small club-like instrument”. In the mean time a member from the family left the residence and went to their neighbors home to make a call to 911 . The suspect left the residence after stealing some of the prescription medication and an unknown amount of cash.The suspect was described as a male, 6′ tall, 180 pounds wearing a Halloween mask and dark clothing. The suspect wearing the mask was reported by the Pigeon Forge Police Department K-9 and officer in the nearby vicinity. Good that the victim was saved and treated at home by the services of the Sevier County Ambulance Service, but a deaf ear on security system could also cost you so dearly and to the extent of loosing someone close to you. This is not the only case of robbery in Beverly Hills, there are many celebrity homes like that of Britney Spears and work places like Laury’s Prime Rib that have been victims of robbery. There are many Locksmith Service provider who are really adept at some of the best security system around the world. But things don’t happen without an initiative. So, if you don’t wanna be in the victims place, ensure that you not only identify a right Locksmith Service provider but also follow some basic safety tip like changing the locks with Mul-T-Lock before moving to your new home, having the doors with deadbolt locks, having a good digital safe vault to secure your valuables, all of which only Locksmith Service provider can understand. Other than that on a personal front one must always keep the residence exterior well-lighted, especially entranceways and driveways and Identify visitors before unlocking and opening doors as far as homes are concerned. So better be safe than sorry and call you Locksmith Service provider!